Download the extremely popular image editing software Adobe Photoshop here. Adobe Photoshop is the most preferred image editing application in the world, and that's quite good reason. First, there is virtually nothing that cannot be done with Adobe Photoshop. With so many features and tools, you are only limited by your own imagination when making image editing. Secondly, Adobe Photoshop is relatively easy to familiarize with, but if you want to make advanced image editors, this also requires training and patience. This means that regardless of whether you are an amateur or a professional, you can get great pleasure from Adobe Photoshop. What can Adobe Photoshop do? Photoshop is a tool that helps both the professional photographer and the amateur to create the images you want. If you want more highlighted colors and elements in your pictures, or maybe you want to experiment with various shapes, coloring and other very basic things in the program. You can also use the program for Adobe's other programs. 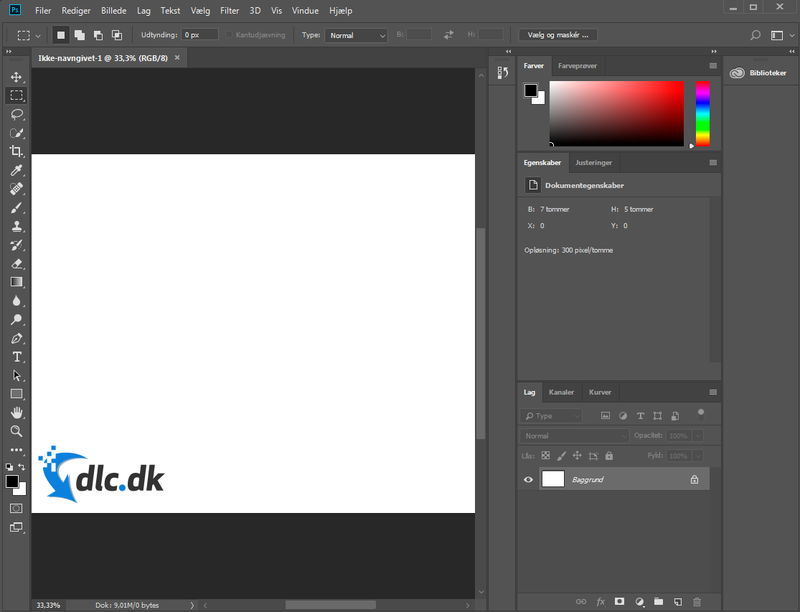 Here it will especially be a program like InDesign and Illustrator, which are good in connection with Photoshop. One can e.g. Start by editing your photos or figures in Photoshop and using InDesign to make it a business card, brochure or perhaps a Facebook cover customized to a company's Facebook page. In addition, the program is frequently used when magazines must have edited images, where the skin of a model may need to be refined and the hair must be glossy and shiny. Besides editing personal pictures, you can also create all kinds of illustrations. Adobe Photoshop is widely used in most businesses that deal with images. Tattoos, YouTubers, Media Designers and many more. In addition, Photoshop can be difficult to commit, as there are many different features that do not have a user guide in the program. It is therefore very much about trying out if you are a beginner in Photoshop, but there are also tutorials on YouTube that can help to understand the program's functions. In addition, many different courses are offered, which either cost money or are free if, for example. will be offered by your union, your educational institution or your workplace. Can Photoshop be replaced by apps on smartphones? The image editing apps designed for smartphones do not include all the features that Adobe Photoshop has. In addition, it can be easier to use the computer when editing images, as it provides a greater overview of the various functions of the program. Apps on smartphones can sometimes be faster to access if you already have the pictures on their smartphone. Apps on smartphones are also often easier to use because of the fewer features available. In the end, however, it is Photoshop that can best respond if you want to edit right down to the smallest detail and possibly. remove or add some items. Photoshop is the program for those who work with images on a professional basis and want high-quality images to make people want to buy and use them in magazines, blogs or perhaps on websites. It can also be used with advantage for exam assignments where you yourself have to make a product with pictures or figures of high quality. 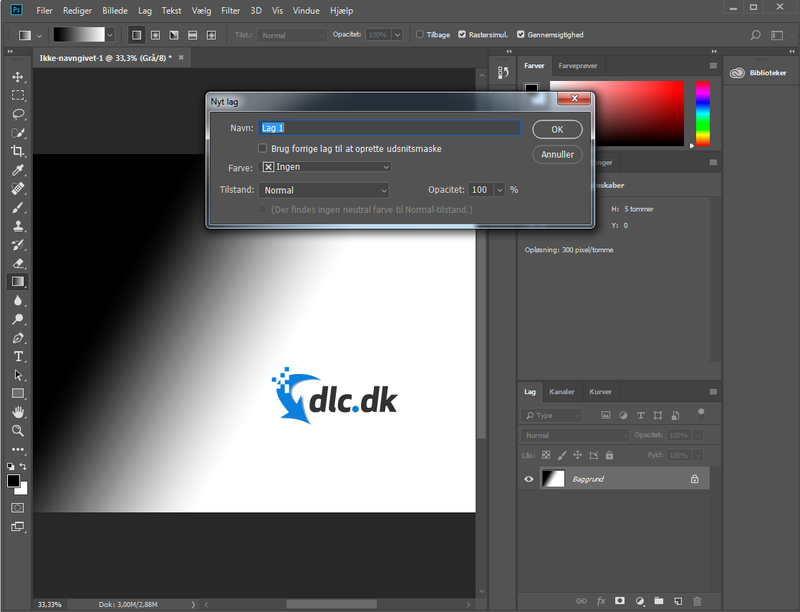 The program can also be for those who are just interested in the Photoshop's way of editing images. The program requires a lot of patience if you are a beginner, so it is not just a program you just learn in one day. 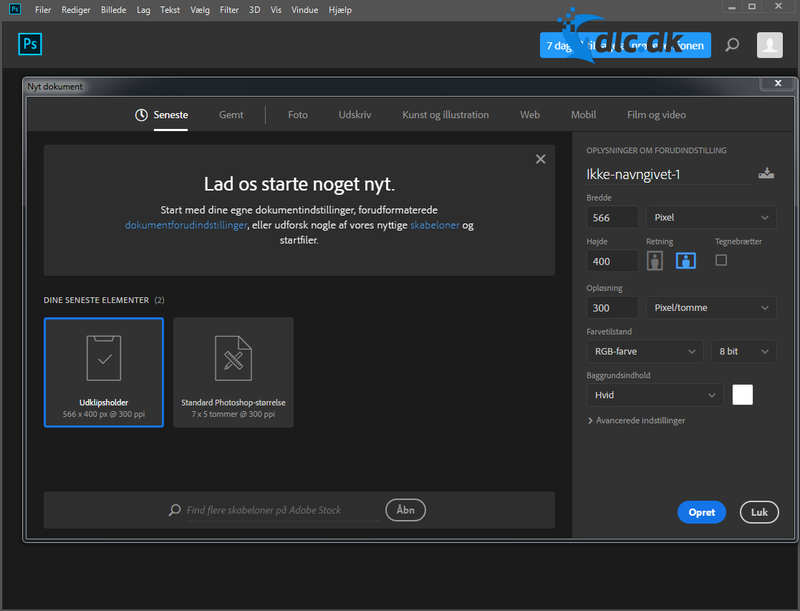 Photoshop costs DKK 462.5 per month normally, but if you are a student you can get the entire Adobe package for DKK 151 a month. You can find more information about Adobe Photoshop's subscriptions and prices here. What are the disadvantages of Photoshop? Photoshop is not the easiest program to learn because of its many funwithout a manual. This can make it difficult for the beginner, who must spend a long time getting to know it. The many different functions are not always obvious in terms of what they really mean and how they are used. You therefore have to try and see how it works. If you already know that Photoshop is a program that will be used for a future job, it may be a good idea to start learning how to spend it half a year or a year before using it in the professional sense. Of course, it depends on how much you use the program on a daily basis when practicing. The price of the program is also a disadvantage if you do not yet know if you want to use the program seriously or not. In short, Adobe Photoshop is a program that can be used by anyone if you have the interest and patience to learn it. The program is not easy to learn for the beginner and also has the disadvantage that it costs a lot per person. month if you do not get a discount. On the other hand, Photoshop is the program that is used most to edit images professionally, due to the high quality once you have mastered the program. Photoshop has not yet been replaced by apps on smartphones, although these are also often used for image editing. The reason why apps have not replaced Photoshop is that they do not yet have as many features as Photoshop and because it is easier to edit large camera images on the computer in Photoshop. The program also goes well with Adobe's other programs, such as InDesign and Illustrator if you need to make professional material for a company. The professional material can for instance be brochures, business cards or a Facebook cover for a company's Facebook page. It's a program that doesn't immediately lack some important features if you ask the photographer, blogger and amateur. 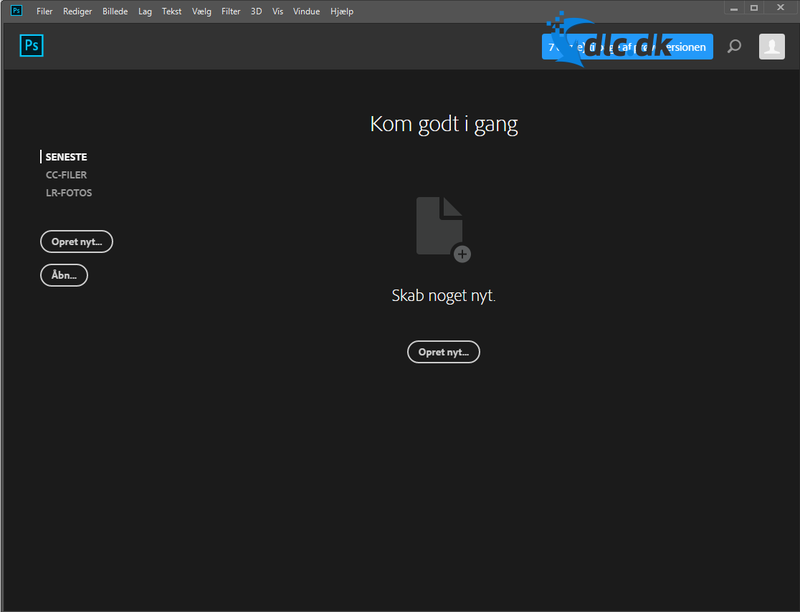 After pressing download you'll be redirected to Adobe's homepage for downloading Adobe Photoshop. You'll have to fill in your name and email adress in order to complete the download. Find Adobe Photoshop, mark it and choose "Uninstall"
Should Adobe Photoshop has been damaged or corrupted and thereby difficult to remove we can recommend you finding help to uninstall it here.